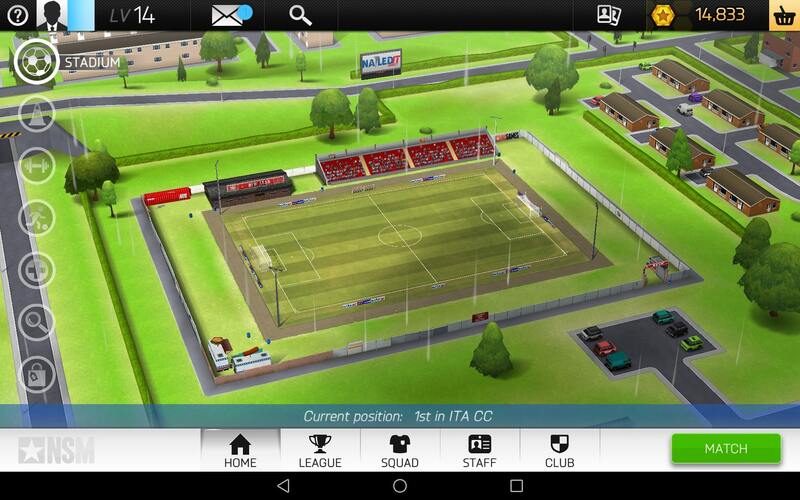 New Star Manager is a football management game that adds to the acclaimed New Star. He blends the managerial aspect with a more arcade phase that is always tactical, which makes the player very involved in the various stages of the game. Belonging to the New Star series it also inherits its playability which makes it an uncommon product. 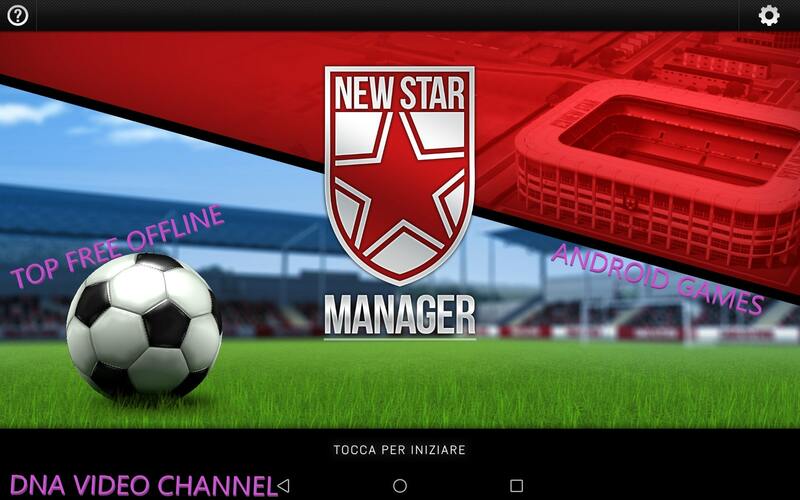 New Star Manager is the newest game Simon Read, the creator of the superb football series “New Star” for Android and IOS and playable offline. For those not aware of the New Star football games, you should know that it was one of the first games to combine soccer with role playing. Do you know the latest FIFAs where you can play with the story mode? Here in New Star you play as a young player who starts his career in the amateur league, will have to train hard and achieve superb performance. 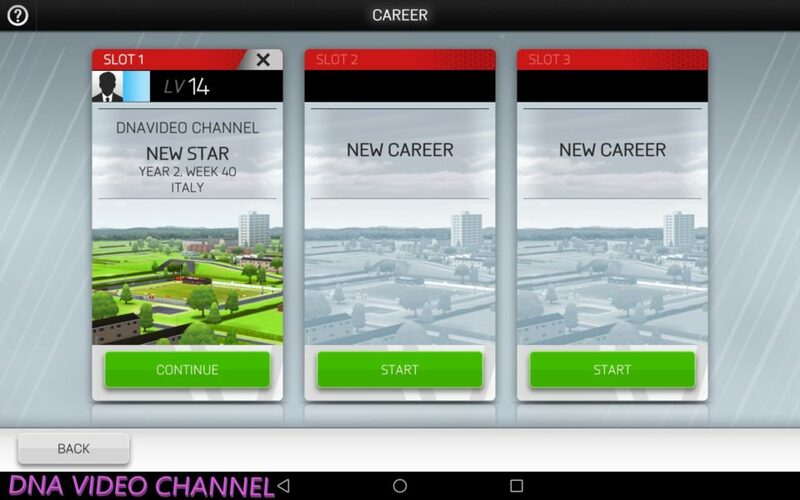 Only in this way your digital alter ego, will hit the talent scouts of the upper teams, managing to jump from team to team up to the maximum division and why not, maybe win the Champions League. In New Star Manager, the role-playing game is set aside, leaving room for more classic managerial management. Don’t worry though, the dynamics and playability of the New Star series has not been put aside. 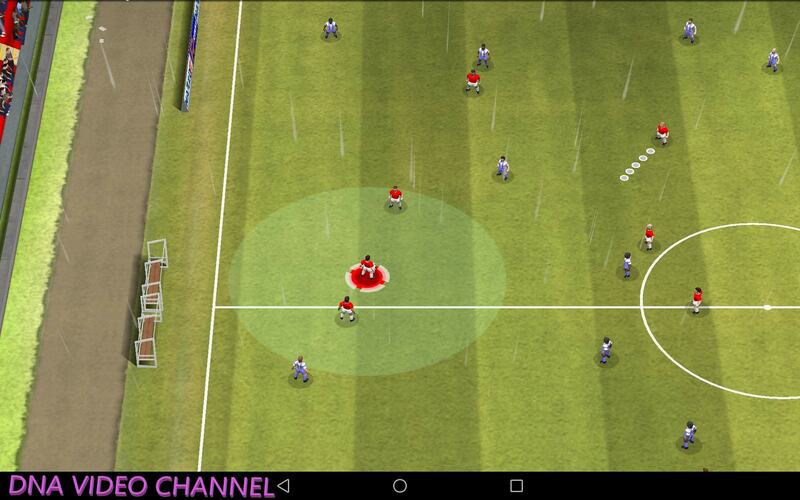 The only difference is that you will not only have to manage your player and just pull or pass the ball accurately. Instead you will have to manage all the members of your team and build the actions to overcome the opposing defenses and reach the goal. To do this you won’t have to play jugglers with your fingers or find some kind of particular combination of keys. To control your team, just use one finger. In New Star Manager you will not have to manage the game with an arcade type control, nor do you have to passively see the game and only issue orders from the bench like in other manager games. The approach is more tactical and the controls are reduced to a simple tap on the screen and drag of the finger. Every action must be studied in detail to avoid losing the ball by making the passages be countered or wrong. Do you have a player in good position who can easily get rid of the opponent? Let him make a movement without the ball so that he is positioned far away from his opponents and pass the ball to him. Are you in the shooting area and are you facing an opposing player? Dribble it, free the view of the shot and prepare the cannon shot. If you have been good to leave an opening for the shot and hit the ball as they should, it is likely that your shot will end positively. We come to the point and see how to play New Star Manager. After starting the game we have to create our coach in one of the slots available to us. Without this we can begin to explore the various sections of the game. Personally the first thing I went to look at is the stadium. As I expected, I find a camp in the oratory that has very little of a stadium. But I’m not going down and I think this will soon be the new Maracana, we just have to roll up our sleeves. I also note with pleasure that unlike many management systems, in New Star Manager, the stadium can be expanded in many aspects. Training ground, doctor’s office, observatory center and much more. By building at least the first level of each type of structure, we will be able to recruit our team of experts who will work alongside us in training and team care. These, at regular time intervals depending on their skill level and age, will create cards that you can use for various purposes. From training in a certain characteristic, to recovering from injury, to recruiting some young promise, etc. At the end of each game, if one or more of your employees has completed its task, you will be given the chance to get his cards, so you have to be careful what you choose basing on the team’s needs. New Star Manager bases all feasible actions on these cards, there are few actions you can take without using a card suitable for the purpose. For example, if one of your players is injured for five days, you have two choices: wait for the five days, or use a physiotherapy card that decreases the number of days required for recovery. This card will be generated by the physiotherapist, and their frequency and quality will depend on the level of both the physiotherapist and the host structure. Another way to get useful cards is to correctly answer the questions posed by the press. You have ten seconds to answer questions concerning your team. If you answer correctly, you will win cards, otherwise your entire staff will suffer and you will lose part of their trust. 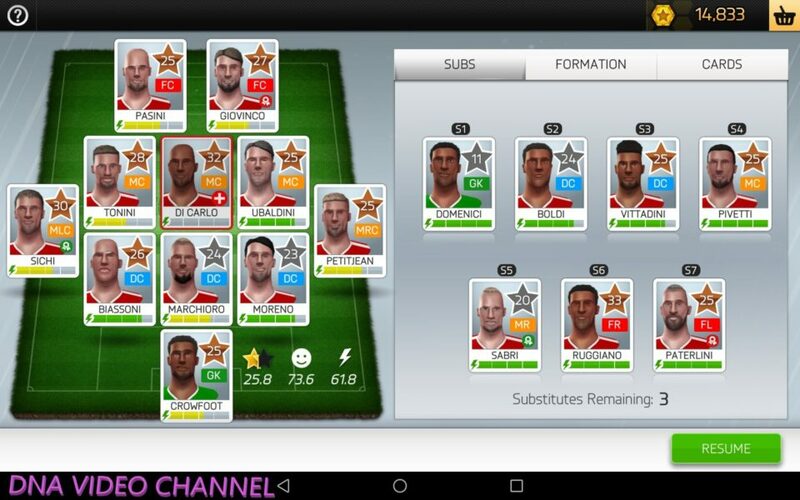 As in any good football manager, even in New Star Manager you can manage the formation of your team. We can choose between some of the classic tactics used in reality and starting from one of these to choose the players that are part of the starting squad. Keep some considerations in mind when choosing players. First a player out of position will make less, so always try to respect the roles to maximize the strength of the player. The moral influence in the accuracy of steps, so if you face an important game to bring you avoid troublemakers. A tired player makes less and may not even finish the game, so try to alternate between them and have valid substitutes for the players. 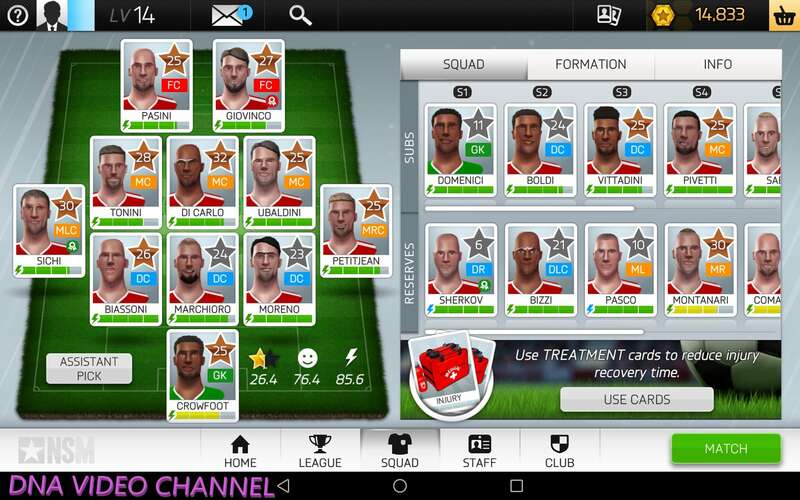 Just on this last topic, I would like to share with you my observation to have a top team in New Star Manager, or try to have valid reserves in the team that can replace the holders. This is because players get tired quickly and cannot recover all their energy between games without using energy drinks. Instead, having adequate substitutes will allow you to let the players rest in turn and have the team sufficiently rested. Also take advantage of the changes to replace the fatigued players during the games, because if you make them less tired, it will be easier to recover them for the next game..
Do you want to make the fans and your management happy? Do you want to become famous and hit the press? Well, even in New Star Manager to get these results you have to do one thing … win. One of the key factors to earn more is the satisfaction level of the four items shown in this photo. A happy fan base will be more inclined to come to the stadium and pay for more expensive tickets. A press more interested in your path, will be happy to send your games on TV and pay you handsomely. The sponsors know, they look strong teams to represent their products. 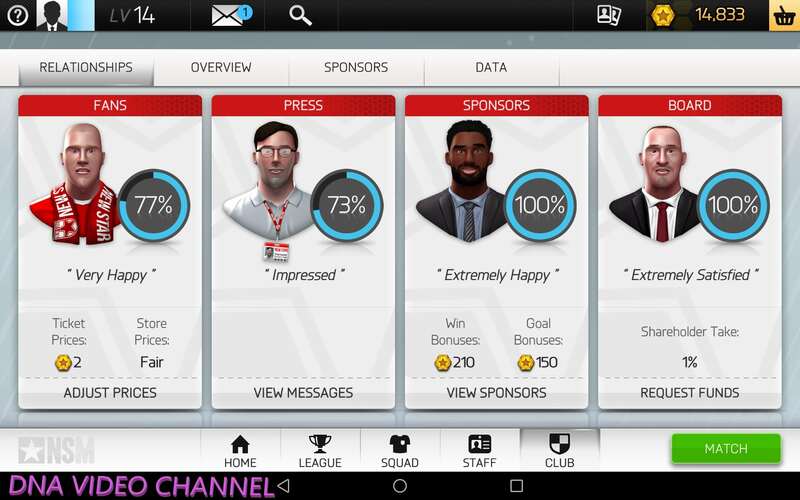 So the more you win, higher will be the quality of sponsorship contracts. Also remember that you can increase or decrease the ticket price to make your fans more or less happy. Or if you find yourself in financial difficulties or need instant cash for an unexpected purchase, you can always knock on the door of the leadership to ask for additional funds. But be careful, this will increase the percentage of money to be given to shareholders at every game, which could make the management nervous. 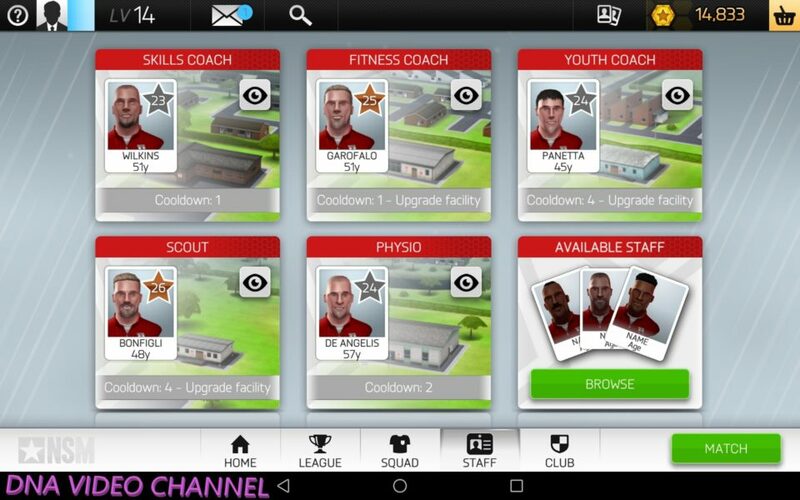 As already mentioned in the previous paragraphs, in New Star Manager, players’ training does not take place automatically, you will have to use the skill cards earned on players who can still develop that specific feature. If the player has reached his maximum potential for that characteristic, the card will not be applicable. Keep in mind that using a training card requires a certain amount of energy, so if the player doesn’t have enough, you can’t use the card on it. 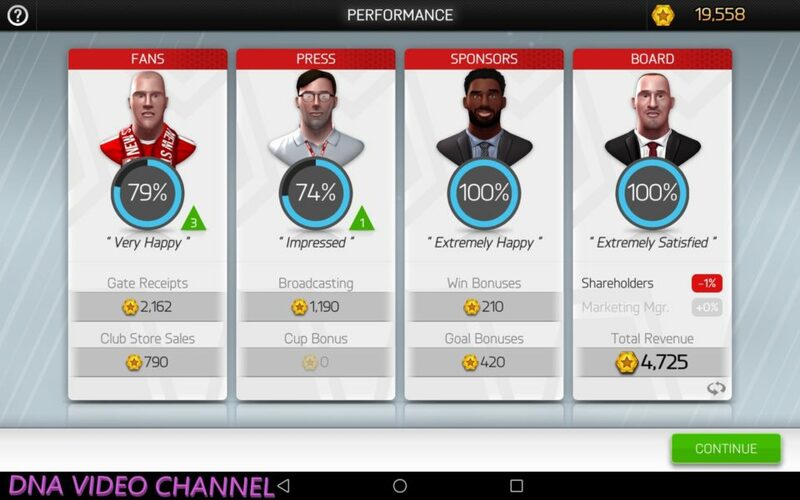 Very important factor in New Star Manager is the morale of the players. It might seem like something taken for granted, but in reality compared to other managerial games, morale really does influence team performance. With the morale down, players tend to miss even the simplest of passes, which is not at all pleasant. Imagine yourself trying to beat your rival and the players don’t hit a pass, wasting dozens of possible goal actions. To overcome this problem, we must keep our players (and even our staff) always with high morale.Per rendere felici i nostri giocatori basta poco, un buon contratto, il posto in squadra da titolare e degli allenamenti individuali di tanto in tanto. Excluding the contract, which becomes a problem only when it expires, you must try to make a good turn over to let all the team members play more or less. Moreover, when the player becomes impatient to be trained, you have two choices, train him, or use the card to discuss his problems with him. Both methods will solve the problem and eliminate its concerns. If you have read the article up to this point it is likely that you are looking for some suggestions on how to start your career in New Star Manager. Growing fast is equivalent to earning as much as possible. Let’s see what chance we have to improve our economic situation. The first option that we will have almost every game when the market is open, is the proposal by other teams to buy your player. Usually the players that will try to blow you, strangely, are not chosen among your best players, rather it is the exact opposite. The beauty is that they overpay you, as they offer you more than their real value, which is the same as getting rid of players you don’t use and in its place, recovering money without losing money, which you can immediately reinvest to buy younger, stronger players. As you can see from the figure, I am offered 6600 against the 4800 of the real player price, a nice profit. The second trick to consider for a fast team growth is to carefully choose the players you want to buy. In fact, often the player’s price changes based on the team’s attachment to it. If they want to sell it, maybe you can buy it at a discounted price. On the contrary the price could be much higher than the real value and in this case the purchase is highly discouraged. Use the observer as much as possible. Often, especially when the market is closed, you will find excellently released players. Taking a player on a free transfer will only cost you the contract price which is far lower than the real cost. Selling it you will certainly make a great gain, and your finances will smile at you. Finally the last advice I can give you is to build the stadium by steps based on our earning possibilities. The first levels of the structures cost relatively little and will allow you to hire all the staff you need. All levels instead begin to cost more and should focus first on creating a good team to win games, rather than having the highest level of facilities and not being able to win games because of lack of talent. New Star Manager allows you to use the usual trick that we often find in offline games. I usually define this trick “on Windows”, that is turn off and on again and everything starts from scratch solving every problem. In this case the forced closing of the game allows to exit from situations without an outlet and try again. In particular you will be able to try again a game that you were losing, or the failed interview or the negotiation of a player’s or collaborator’s contract. In the latter case, you can always choose to simply use undo, however you will have to wait for the next game and it is not certain that you will be able to conclude, so the trick I would say is quite useful also in this case. 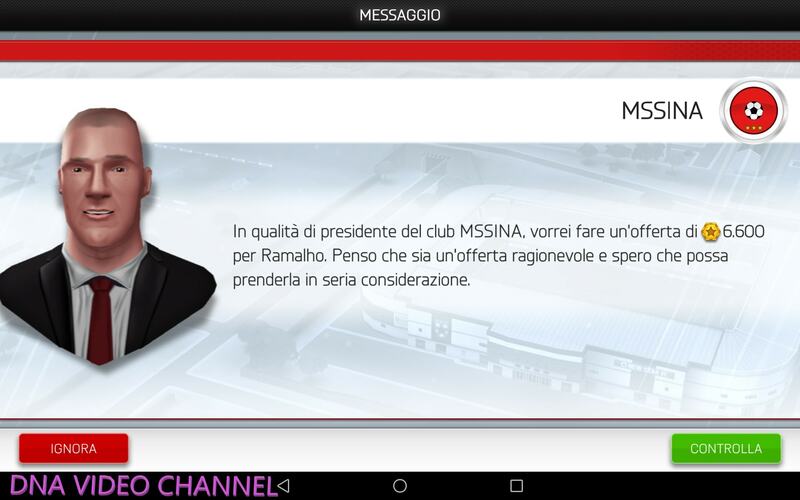 New Star Manager is a nice managerial game. It differs from the usual managerial as you will have an active role during the game. It is not even an arcade since to win you do not need skill but tactics and knowledge of the field. Years ago I played the New Star series and I liked it a lot, getting to the top series and fighting for the various cups. Now with New Star Manager I am ecstatic, a really nice game that traces the same gameplay as New Star, adding the quality of team management, making the game even more complete than the others in the series. Tell me what you think in the comments as soon as you have tried it. Sign up for one or more of my social pages, every new follower or like pushes me to write new articles.